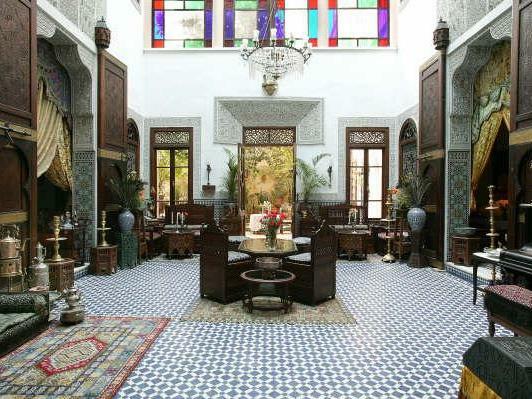 Riad Arabesque Location. 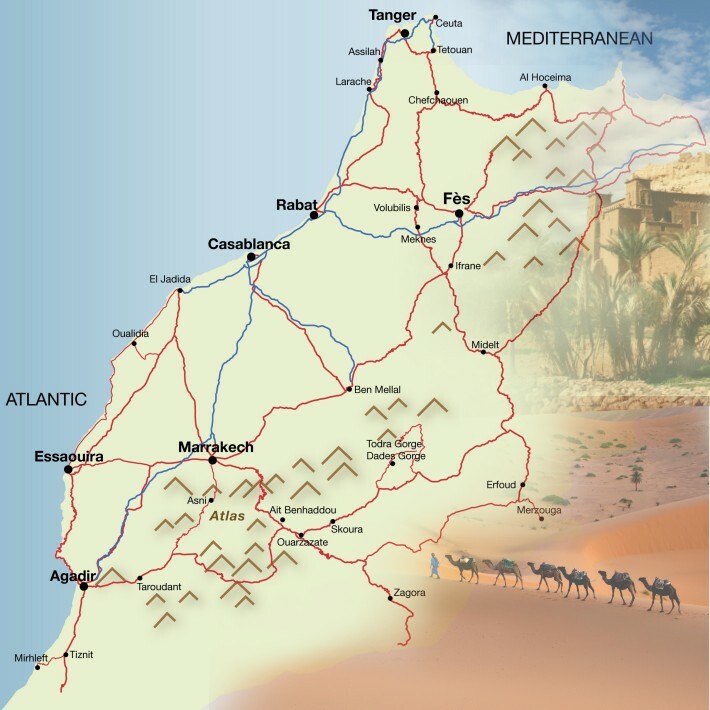 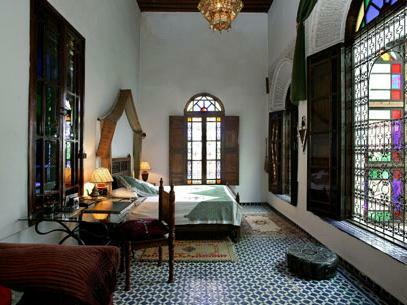 Book Riad Arabesque Today with Hip Morocco - Holiday Accommodation in Fez, Morocco. 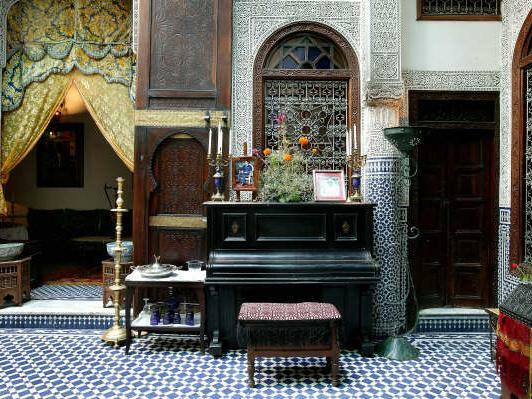 "Stunning views over Fez and the Zalagh mountains"
The Arabesque was built at the beginning of the last century and has been recently restored, preserving its original features. 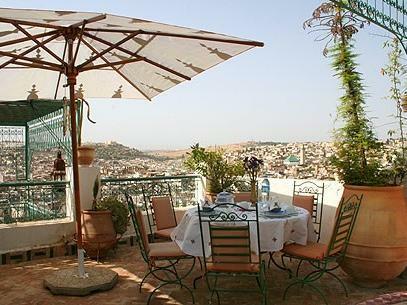 This charming town house has stunning views over Fez and the Zalagh mountains and is located near to the grand hotel the Palais Jamais. 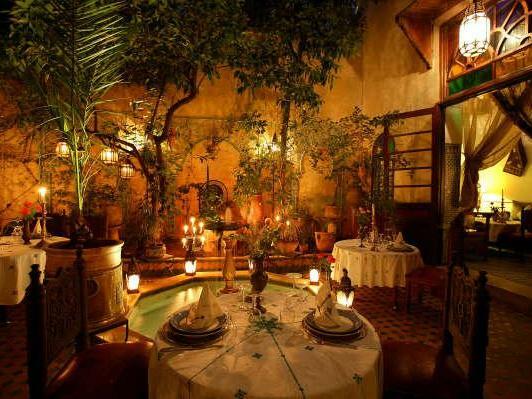 There are a total of 16 Suites. 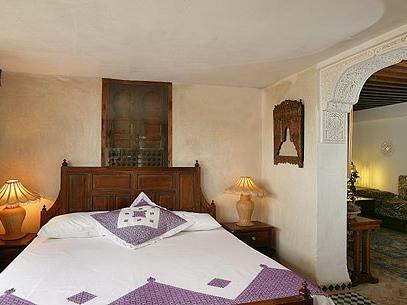 There are 5 traditional style Junior Suites, all have a sitting room, mini-bar, television, air-conditioning and telephone with outside line. 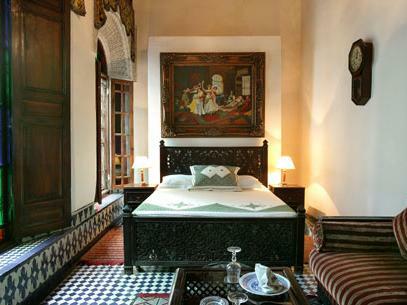 There are 8 traditional style Ambassador Suites, all have a sitting room, mini-bar, television, air-conditioning and telephone with outside line. 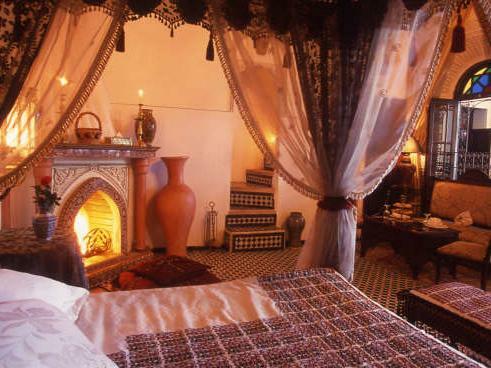 There are 3 stunning and unique traditional style Royal Suites, all have a sitting room with open fireplace, mini-bar, television, air-conditioning and telephone with outside line. 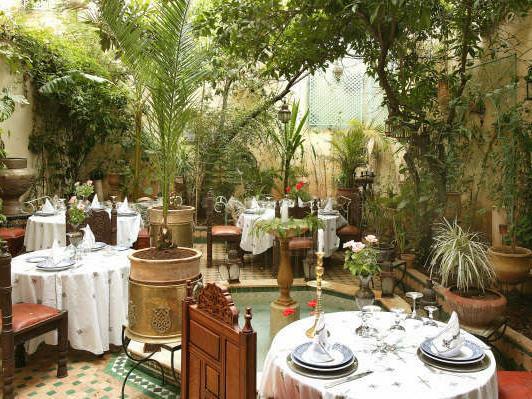 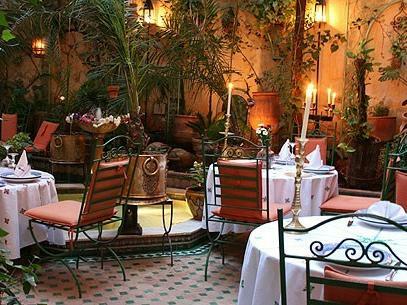 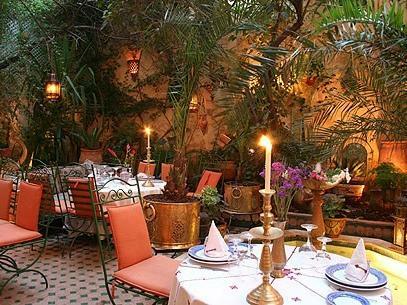 The base rate price at Riad Arabesque is in pounds, euros, or Moroccan dirhams and exchange rates are approximate.